Whether you’ve replaced your old car with a new and updated model, need some extra cash fast, or can’t afford the running costs that come with owning a car, the chances are that you want a quick sale – don’t we all! Today, more and more drivers are choosing to advertise their old cars online, in the hope of getting a good price and a quick sale, and there’s nothing wrong with that. The internet is an incredible resource, but one that it’s important to be wary of in some instances, such as when selling something of value, like a car, for instance. This is because the internet can be a dodgy place, and it’s important to understand that. That’s not to say that you can’t sell your car safely on the internet or that you shouldn’t, it’s just that it’s important to be clued up, that’s all. With that in mind, below are some useful pieces of advice that you should know if you are going to sell your old car on the internet, to ensure that you don’t get taken for a ride. There are plenty of car sales sites on the internet, many of which boast that they are the best place to sell second-hand cars on. However, when it comes to selling your vehicle, you want to be selective about where you post your advert. You want to display your advert on websites that are reputable and well known for selling, as that way there tend to be safeguards in place to protect both buyers and sellers from fraud and other issues associated with selling online. The sites that are known for being the most reputable include eBay, Facebook, and Gumtree, as so many sellers opt to use them. Of course, even when using a reputable site, it still pays to be aware of scammers, just in case. There are a lot of scams on the internet, so it pays to be wary. Whatever you do, never ship a vehicle until the payment for it has cleared. A common scam is for a buyer to ask the seller to get some auto shipping quotes, then the buyer offers to cover the cost and pay a little extra for the vehicle to be shipped. This seems like a great deal because you are making more money than you expected to make, but often it’s a scam, especially if the buyer lives a distance from you. How it works is they get you to ship the vehicle to them without payment clearing, then they cancel the payment and get a free car. This kind of scam happens a lot more than you would think, which is why it’s crucial never to ship a car or let it go with a driver until the payment for it has cleared. 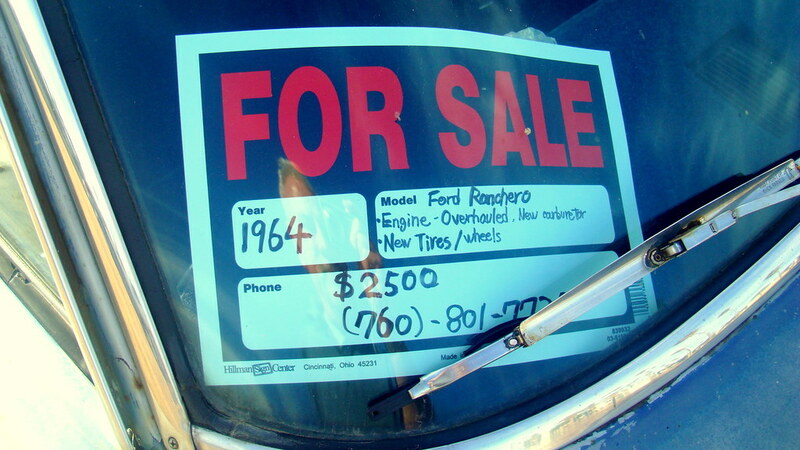 When it comes to the value of your vehicle, don’t let yourself get manipulated into dropping the price. It’s important to be clued up on how much your vehicle is worth so that you are able to set a price for it and ensure that you get the amount that you want and need, and don’t end up letting it go for a price that’s too low. If you’re unsure of the value of your vehicle, use the internet to see what other second-hand versions of your car are going for. A lot of the time buyers will try and get you to wriggle on the price, so it makes sense to set the price a little higher and then bring it down if a buyer wants to make an offer. That way you aren’t missing out and won’t end up being ripped off. There you have it, everything that you need to know about being clued up when selling a car on the internet.